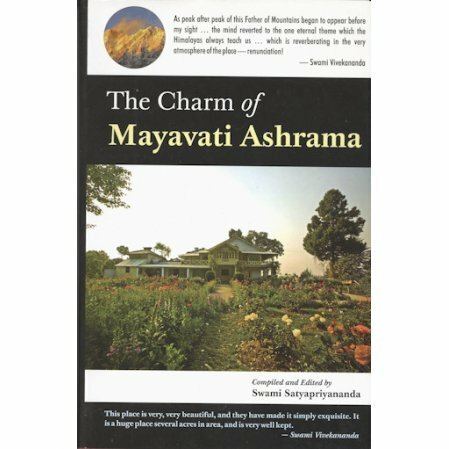 A collection of reminiscences of the Mayavati Center of Advaita Ashrama. This is the story of the Mayavati Center of Advaita Ashrama, founded in 1899 by Swami Vivekananda. The place to this day is alive with the energy and power of the early inhabitants. The book is both a history of Mayavati Ashrama and collection of the more memorable stories of the early days. ... The living houses are so simple, so clean, and so pretty, and above all, so suited for the purpose. The snow is lying all round six inches deep, the sun is bright and glorious, and now in the middle of the day we are sitting outside, reading, - and the snow all about us! The winter here is mild in spirt of the snow. The air is dry and balmy, and the water beyond all praise. ...on the heights of the Himalayas, I have a place where I am determined nothing shall enter expect pure truth and to bring up children without fear and without superstition. They shall not hear about Christs and Buddhas and Shivas an Vishnus - none of the these. They shall learn from their childhood that God is the spirit and should be worshipped in spirit and in truth. Everyone must be looked upon as spirit. that is the ideal.